Since its foundation in 1860 and throughout its brief history, Deauville, whose identity is multiple and complex, has always welcomed any plays of glances and discoveries. Successively, the Seeberger Brothers, Jacques Henri Lartigue, Roger Schall, Willy Rizzo, Robert Capa, Emeric Feher, Gisèle Freund, Henri Cartier Bresson and the Magnum photographers, Robert Doisneau, Peter Lindbergh as well as great fashion photographers have explored the city and photographed Deauville with curiosity and inspiration. Since its creation in 2010, the Planche(s) Contact photography festival, Lise Sarfati, Charles Fréger, Massimo Vitalli, Filip Dujardin, Meffre & Marchand, Paolo Roversi, Sarah Moon, Kishin Shinoyama, Lars Turnbjork, Harry Gruyaert, Philippe Ramette etc. have been invited as the festival main figures to share their own vision of the city, their personal appropriation of Deauville. Their works, inspired by Deauville, are preserved at the end of each festival. They are part of the city’s photography collection, which keeps growing year after year. The collection is unique and singular and will be revealed to the public at the opening of the new cultural project site of the Franciscaines, which is scheduled for 2018. Five years after its creation, Planche(s) Contact has become a reference in photography events in Normandy, illustrating the important part that the city has played in the world of photography as it has in the history of impressionism. In 2015, Planche(s) Contact explores new dynamics which will allow the festival to grow and develop stronger links with regional sponsors and reach a wider audience. A contact sheet is for many generations of photographers a mosaic of images, a narration and genesis of a photographic approach, familiar to many generations of photographers. 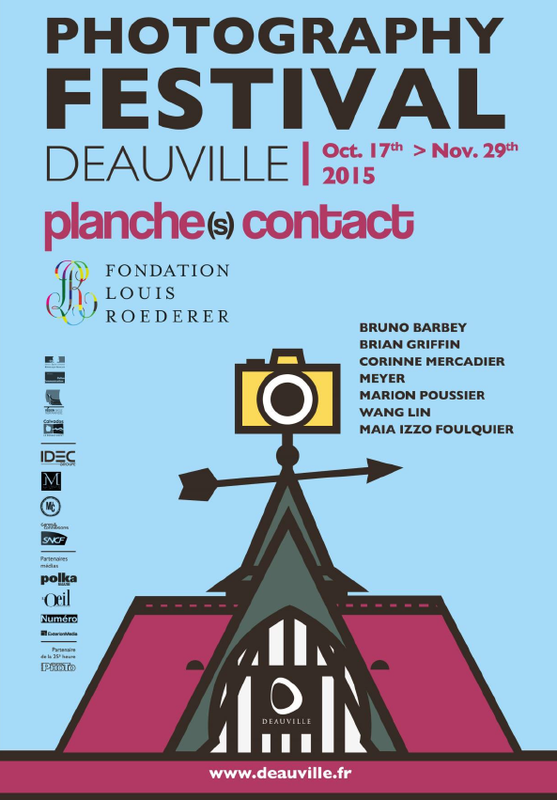 For the city of Deauville, Planche(s) Contact is becoming more and more important as a creative and festive event, joining every autumn, the city and its inhabitants, as well as its visitors with their special relationship with photography.